The Post-Depression architect left his mark on Sherman before becoming the leading interior designer for Dallas and Fort Worth. It was common practice for the wealthy families of Sherman and Denison to offer commissions to the group of architects in the Park Cities of Dallas, so Perkins’s selection by W.S. Dorset was not unusual. Early in Perkins’s career as an architect, he designed five homes in Sherman. Those homes, still occupied today, were important additions to his portfolio of early works. One of those commissions was the Dorset house at 1218 N. Preston Drive. Sherman was a progressive community in the 1930s. The city tagged itself the “Fifth Industrial City of Texas.” It was home to well-regarded colleges and a considerable number of wealthy businessmen who had managed to hang on to their money through the Great Depression. One of those business leaders was W.S. Dorset. Dorset spent forty years with Sherman’s Interstate Cotton Oil Company, later Mrs. Tucker’s Foods, the maker of Mrs. Tucker’s Shortening. He stayed with the company when Anderson Clayton Foods bought Mrs. Tucker’s and eventually became the company’s president, before retiring in 1956. Dorset married Bonner Sewell of Houston in 1929, and ten years later, as the Dorsets’ position in the community grew, they engaged John Astin Perkins to design and build a house for them on North Preston Drive in Sherman. Although Perkins would become the leading interior designer for the wealthy and famous in Dallas and Fort Worth, he focused on architecture for the first few years of his career. The handsome, well-educated, sophisticated young man had a sharp wit and fit right in with the richest of the rich. While his clients played tennis, lunched at the club and exchanged gossip, Perkins discussed the details of their new homes. The transition to taking full charge of both exterior and interior design was a natural progression. 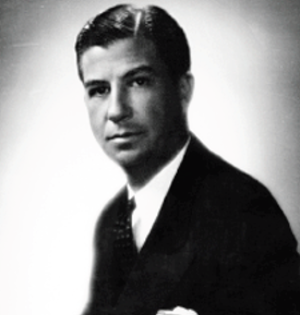 After the Depression, the old-money banking and manufacturing heirs were in competition with the new-money families rolling in cash from the oil and gas boom, All of high society was anxious to start spending money again, and Perkins knew just how to help clients such as Clint Murchison and Elton Hyder do it. Over the next two decades, Perkins established himself as the premier interior designer in Dallas. His use of bold colors and lush fabrics was a fundamental shift from the ultra-conservative styles evident in most homes. He mixed European and Oriental antiques with elaborate, custom- made pieces, from lampshades to rugs. The finest artisans in Dallas created his custom furniture and cabinets. Perkins boldly blended English and French styles. 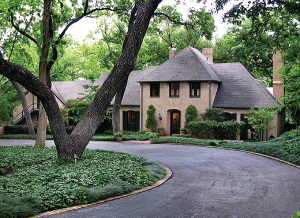 More than any other designer, he brought the French Country influence to Texas homes. His choice of colors was considered avant-garde—parrot and apple greens, bright pink, lavender, mustard. The home that John Astin Perkins built for himself in the Bluffview section of Dallas. The home has been listed for $3.3 million. Perkins remained a prominent and active designer until his death in 1999, at age ninety-two. His work appeared in the pages of Architectural Digest more times than that of any other designer. Although the Dorset-Sofey home never featured interior design by Perkins, Daresa Sofey employed a number of styles reminiscent of his best work to decorate her home. The mix of colors and rich tones and the use of elegant, yet comfortable furniture, reflect many of the techniques Perkins used to create unique and memorable interiors.